I do not want to make it sound like video games are magicians and will powerfully light up your brains but according to various studies there are some certain benefits video games can bring to all of you. 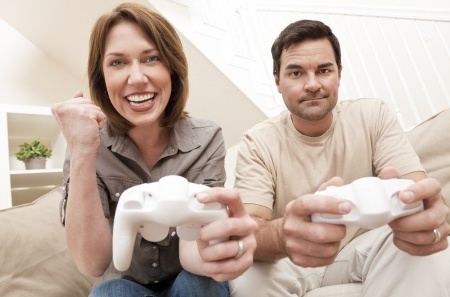 One recent study suggests that action video games improve probabilistic infer­ence- a key aspect of making decisions. It is ability of inferring quickly the probability that a given answer is correct on the basis of limited evidence. Such ability is used in many basic sensory and perceptual tasks, which would explain the general transfer of training benefits observed for players. Researchers at one University found that video game players seem to monitor a large field of vision. They are keeping an eye on the center of a screen and the periphery at the same time. What is more, they may allocate their attention more flexibly than non video game players, paying additional attention to the center of computer screen, for instance, when were asked to identify the shape that pops up there. The attention control benefits of playing video games seem to be broader, and may eventually be harnessed to help people with impaired visual systems due to brain injury. Researchers are looking for a tool where they can promote rewiring and plasticity of the visual system in a wide sense. According to several studies a cornerstone of human intelligence- cognitive flexibility is not a static trait and can be improved and trained using fun learning tools like playing video games. People who play the most complex version of the video games perform the best in the post-game psychological tests. Scientists need to understand now what exactly about these games are leading to those changes and whether these cognitive boosts are constant or if they decrease over time. Playing a lot of action video game can boost performance in a variety of sensory, perceptual, and intentional tasks, even in tasks very different from the ones involved in the game play. It is commonly known that the ability to multitask gets worse with age. But healthy people who regularly play the video games are able to turn the clock back. After one month of practice, the old people are able to multitask even more effectively than younger adults, on average. 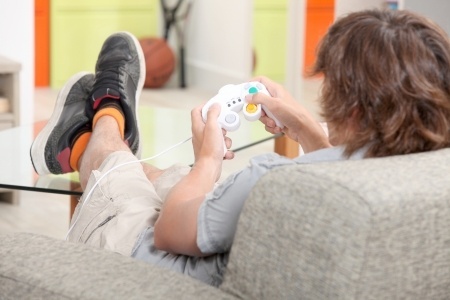 Various studies suggest that the value of video games might extend beyond entertainment. Experts say video games might not only stave off the mental deficits that come with age, but can also help in the treatment and diagnosis of mental problems. In one study those kids who played the action game improved their reading speed by as much or more than a dyslexic child normally would in an intense reading program. It is very difficult to improve reading skills in dyslexic kids because they read so slowly that by the time they rich to the end of the sentence, they can’t tell what it was about. Researchers are almost sure that virtual reality can provide an enjoyable, affordable and effective alternative to intensify treatment and promote motor recovery after stroke.